Welcome to Week 51 of Year 8 here at Paint Party Friday! This week our random number generator chose #5 - Morag. After a trip to the Scottish countryside, Morag created this lovely painting of a hare by moonlight. Please drop by to see more detail and some of her photos from her trip. Welcome to Week 50 of Year 8 here at PPF! This week Random.org chose # 9 - Tarang. 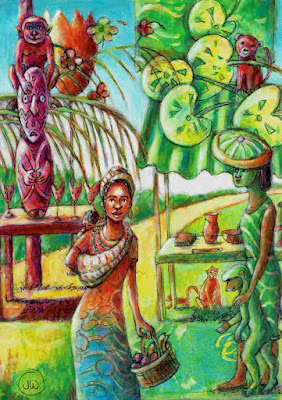 Lately Tarang has been painting daily and shared a few of her favourite paintings. 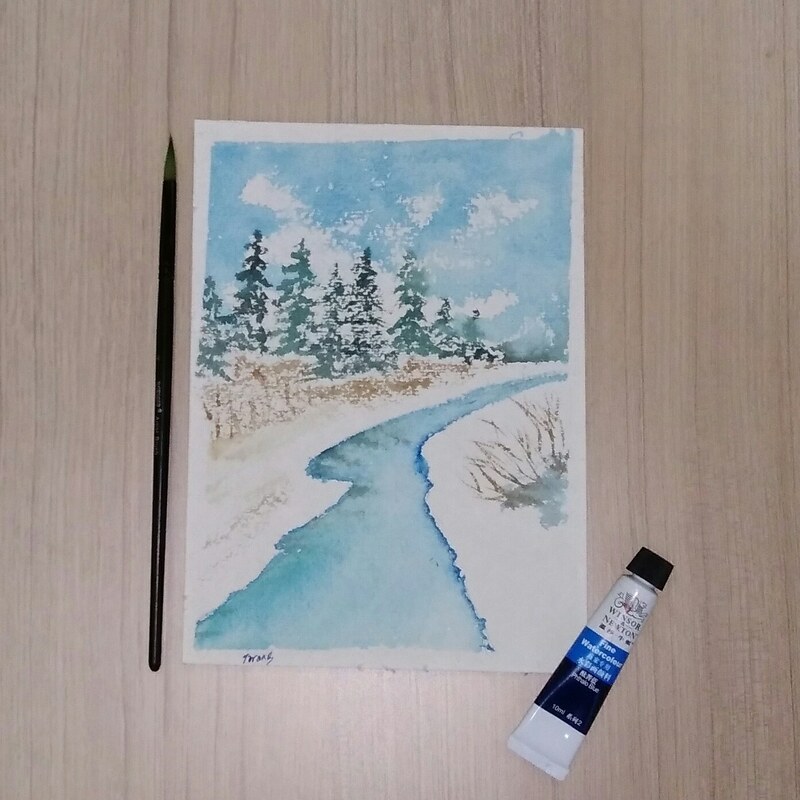 Here is one lovely winter scene. Please visit her to see the rest! As always, please make sure to use your post URL address NOT your blog home page URL address as there are many late visitors who get confused as to which post is for PPF when they arrive (after Friday) at your website. If you are unfamiliar with Mr. Linky, an explanation of how this tool works can be found on Week 1 and Week 2 posts. Have a wonderful creative week! Welcome to Week 49, Year 8 of Paint Party Friday! This week, the random.org number generator chose #23: irene rafael. 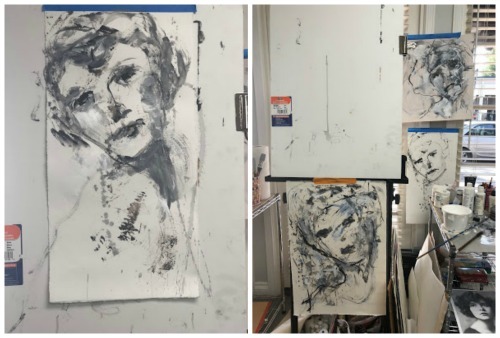 Last week Irene shared a blog post filled to the brim with creative inspiration and artistic beauty, including this wonderful glimpse at her works-in-progress from a workshop she attended. We love getting to look behind the scenes, don't you? Please be sure to stop by Irene's blog to see even more of the artsy goodness she's been up to! Wishing you a week filled (to the brim!) with creative inspiration!